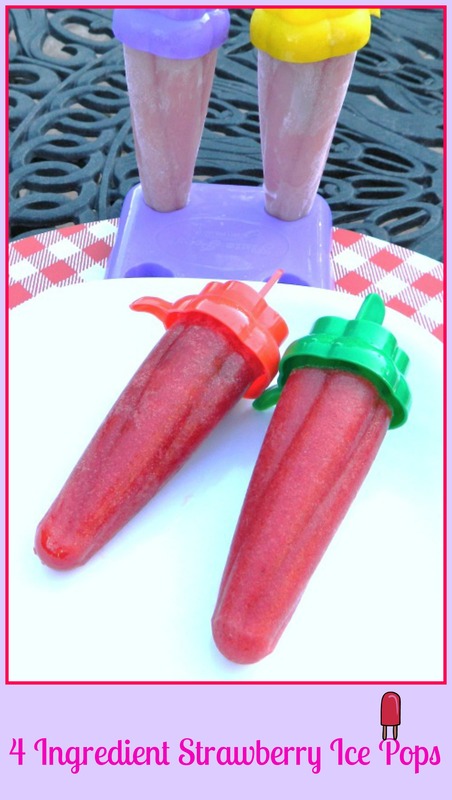 Fun to make ice pops that are strawberry sweet and oh so scrumptious. Enjoy every lick! 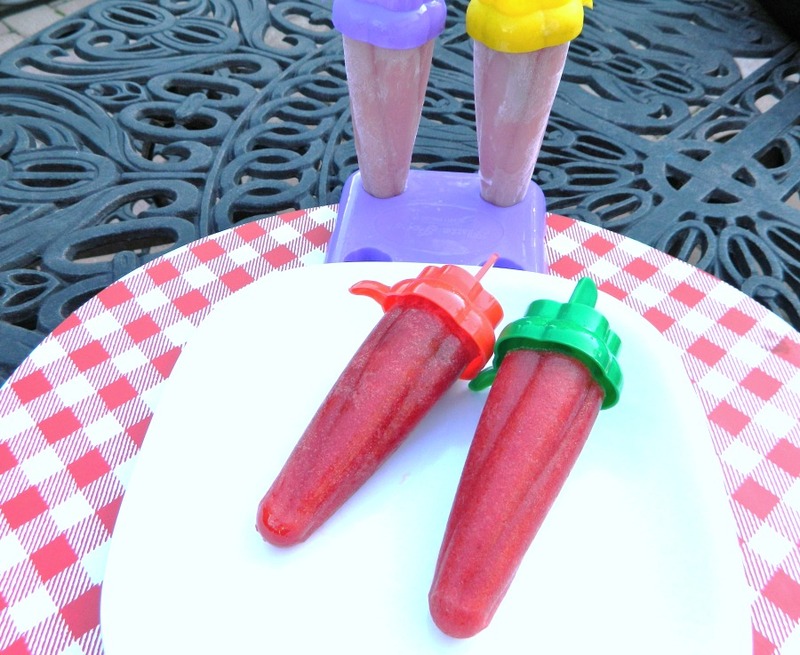 Here is a fast and easy popsicle recipe that has been a family favorite for years. They have a nice amount of fiber and very little sugar, but still taste so sweet and are virtually fat free. I love serving these when we have friends come over with their kids because I know they are getting a yummy and healthy treat. The adults like them You can find the popsicle molds in most markets, Bed Bath & Beyond, and Target; the dollar stores carry them as well. I stock up on them whenever I can because they cost as little as one dollar for a set of four. I hope your family loves these ice pops as much as mine does. In a blender, add the strawberries and juice and whirl up until thick and smooth. Add the honey. Blend again. If you feel the mixture is too thick, you can add a little more apple juice or cold water. Pour into 4 ice pop molds and freeze for at least 5 hours or overnight. Love these refreshing ice pops! !